Pug has lost his true love. Help him find her by jumping on platforms, collecting cold coins and avoiding spikes. Once you've cleared the level of coins head for the portal to get to the next level. Can you help Pug find his true love? 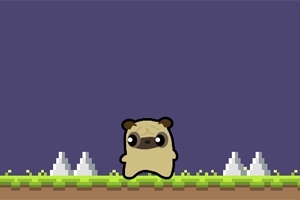 Play Pug Love and find the love!